(NaturalNews) N-acetyl cysteine (also known by the acronym NAC and also called N-acetyl-L-cysteine) is an amino acid and antioxidant that is made by the body from its original form of cysteine. We obtain cysteine from high protein foods that we consume such as yogurt, cottage cheese and many poultry products. It is also available in supplement form as N-acetyl cysteine for people who require more for therapeutic benefit. It helps the body produce glutathione, another amino acid which acts as a detoxifying agent to most of the organs of the body, essentially removing things like toxic heavy metals and other toxins that interfere with proper functionality. One of the most commonly known benefits of taking the amino acid in supplement form is for the detoxification of the liver and the efficient breakdown of mucus. However, there are other numerous, lesser known benefits. Rats who were given doses of the antioxidant amino acid prior to being exposed to aluminum demonstrated less cognitive impairment than the rats that were not dosed with the amino acid. The conclusion of the experiment was that N-acetyl cysteine acted as a powerful prevention mechanism against aluminum toxicity and potentially against buildup in the brain. 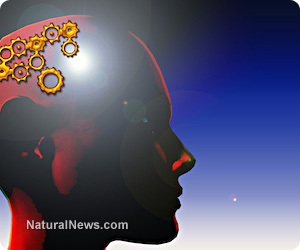 Aluminum toxicity in the brain has long been a suspected underlying cause of Alzheimer's disease. In addition to this, one study found that the amino acid may have antidepressant-like qualities. Rats that were supplemented with it exhibited more willingness to explore and remain active after a swimming lab test which indicated that it probably had an antidepressant effect on the brain. N-acetyl cysteine has been identified as a major detoxification aid within the human body. When administered, it has demonstrated liver detoxification benefits, and helps to remove environmental contaminants and toxins from the blood stream. These include tobacco and other types of carbon-monoxide rich smokes, alcohol, pollution, and other types of inhaled or topically applied toxins. It is often used by those concerned with liver toxicity associated with long term use of OTC anti-inflammaotories or NSAIDs, since these can damage the liver over time. It is also used as a detoxification measure for aluminum and other heavy metal exposure since it is very effective at removing these toxins from the organs and the blood stream. The amino acid has also shown some significant capabilities in suppressing influenza A viruses. It accomplishes this by inhibiting the replication of the virus within the human body. Because it also acts as a mucus thinner, it may also help to decongest during a cold or flu infection. It also inhibits the replication of pro-inflammatory molecules which add to the physical pain and suffering experienced during a flu infection. For these reasons, it may significantly shorten or even prevent an influenza infection.